Get the baby gates, lock the cupboards, and load up Elmo’s Song, toddlers are on the loose. 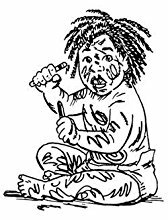 The Toddler Survival Guide is here to get you to the other side. 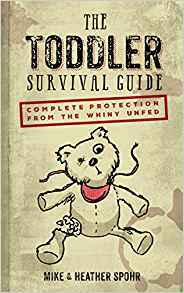 Raising a toddler and surviving the winter blues required reading is The Toddler Survival Guide [Quarto Books], a hilarious parody of Max Brooks’s The Zombie Survival Guide which provides practical advice for getting parents to the other side of toddlerhood intact. Written by parents Mike Spohr [Buzzfeed Parents editor] and Heather Spohr [BlogHer 2017 Mom Blog of the Year] who have studied toddlers up-close in their natural habitat, it covers a variety of must-know skills—from toddler-proofing your home to surviving bedtime rituals and potty training. The Toddler Survival Guide will leave parents laughing out loud even as it provides practical advice on how they can make it to the other side of toddlerhood intact. Written by parents the book will cover survival skills including how you can outfit your home to outlast a toddler occupation (baby gate, cabinet locks, wine), how you can subdue an angry toddler (“Elmo’s Song,” mac and cheese, smartphone) and even how you can safely venture out in public together without your toddler–or you–bursting into tears. Hilariously on-point observations about the weird, wacky, and downright frustrating things all parents of toddlers will have to survive. About the Author: MIKE SPOHR joined BuzzFeed in 2013 and is the founding editor of the award-winning BuzzFeed Parents vertical. He is also one of BuzzFeed’s top 20 traffic earners of all time. Prior to that, he worked in the film and television industry, taught high school English, and wrote for Babble, Huffington Post, and Spinetingler Magazine, among others. He is a regular speaker at parenting conferences nationwide. About the Author: HEATHER SPOHR started her family blog, The Spohrs Are Multiplying, in 2007 – which has now been visited by more than 65 million people nationwide. Her writing has also been featured in Redbook Magazine, The Huffington Post, Babble, The Bump, Baby Center, and BuzzFeed, among others. Heather has been named Blogger of the Year by thebump.com, was named a Voice of the Year by BlogHer, and was a 2017 nominee for Mom Blogger of the Year at the Iris Awards. 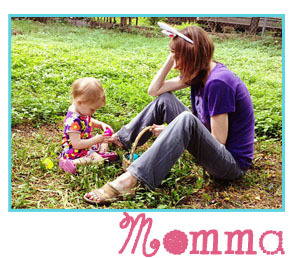 She is also in Babble.com‘s parenting blogger hall of fame.